Industrial Mini Coil with our Mini Clip on one end and a stainless steel split ring on the other. Secures: flashlights, radios, tools, knives, GPS and more. 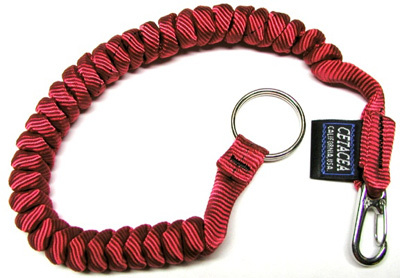 Attaches to: belt loop, work belts, vest, wrist, and more. Prevents gear loss, and keeps gear accessible.